If you are pulled over for driving under the influence in Lexington Park, you will be put through a number of field tests. Police officers may ask you to take a number of field sobriety tests. A patrolman may even request a preliminary breath test before deciding to take you into the station. It may be important to understand this process and the rights you have as a Lexington Park driver. The violation of your rights in any way during the arrest should result in the prosecution dropping the charges. If you are charged with drunk driving, it is in your best interest to immediately contact knowledgeable Lexington Park DUI attorneys in your area. In the state of Maryland you are not legally obligated to take a field sobriety test or a preliminary Breathalyzer test. Drivers should know, if you refuse to participate in these tests it may give the arresting officer sufficient reason to bring them into the station as a result. Once there, the law requires you to take an official breath test. Refusal to take an official breath test can result in additional penalties and citations. It is important to remember that an officer only needs to observe your personal appearance or hear you admit fault to have enough reason or to bring you down to the station for a mandatory breath test. One-Leg Stand: This is a divided attention test. The officer will ask you to raise one foot off the ground while counting out loud to 30. Swaying, needing your arms to balance or making mistakes while counting are ways to fail this test. Walk and Turn: This is another divided attention test. An officer will ask you to take nine steps forward, pivot and then take nine steps back while counting the number of steps out loud. The police officer will look for missing steps, swaying, turning balance and incorrect counting. Horizontal Gaze Nystagmus: Police will use an object, usually a pen, to test how steadily the eye moves back and forth. The officer will ask the suspect to follow the pen as it moves from side to side. If the eye cannot move back and forth smoothly, it could be a sign of intoxication. A police officer needs extensive training to make sure he or she can administer these tests properly. Many of these tests are imperfect at best. The charges brought against a driver as the result of a failed field sobriety test are often defensible in court. A preliminary breath test is when a driver blows into a Breathalyzer. The results of this test are not admissible in court, but they could give the officer cause to bring the driver in to the police station for a mandatory breath test. Breathalyzers are often not properly calibrated. Many have been improperly arrested and convicted because of a malfunctioning or inaccurate Breathalyzer. The attorneys at Alpert Schreyer, LLC have had a successful track record defending the rights of residents. Our DUIdefense lawyers thoroughly understand the procedures involved in a DUI arrest. Our experience in the administration of breath tests and field sobriety tests will give your case an edge. If you or a loved one is facing DUI charges in Lexington Park, please contact our office to find out how we can help. Calling us for that free case evaluation is your first step to fighting these serious charges against you. 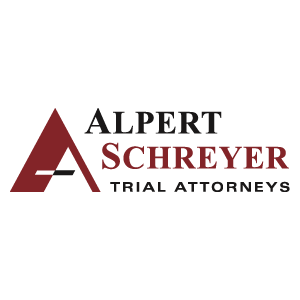 Attorney Andrew D. Alpert is a Partner with the law firm of Alpert Schreyer and one of the leading DUI attorneys in the state of Maryland and the District of Columbia. A former prosecutor, Mr. Alpert has specific training in DUI/DWI law and has earned a reputation as a highly-skilled and aggressive criminal defense attorney. He has successfully defended thousands of DUI/DWI, criminal defense and motor vehicle manslaughter cases, has had many cases covered by the press (Maryland Independent 09/17/2004; Maryland Independent 09/22/2004) and has appeared on national television to offer his legal opinion on high-profile criminal cases. Mr. Alpert has received numerous awards and honors from the legal community. He has been awarded the highest rating available from Martindale-Hubbell (AV® Preeminent™), carries a 10 out of 10 Superb Rating on AVVO and has been selected several times for inclusion on the list of Super Lawyers in Maryland and the District of Columbia.